Silikomart has an 11 piece bakeware set comprising a Rose-shaped pan, a Square Pan, a Round Pan, a Muffin Pan, all featuring Silikomart's patented Safe Ring, plus 6 Round Baking Cups and a Silicone Baking Mat. All the items are manufactured in Italy with Silikomart's premium Liquid Platinum Silicone, which is toxic-free, odorless and smokeless. Thanks to its commercial-grade characteristics, all the items in Silikomart's SILIKOKIT1 are guaranteed for 3000 uses. 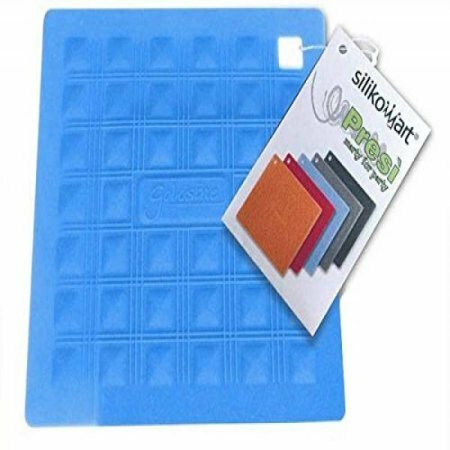 Silikomart molds and products never need any greasing or buttering, thanks to the unique properties of LPS, which is naturally non-stick, allowing for lighter and healthier baking. Products can be used from -80 Degrees F to +450 Degrees F and are dishwasher safe. Silikomart's Made In Italy products are the choice of professional chefs around the world and deliver professional results to your home kitchen.